The General Assembly is the supreme organ of the World Tourism Organization (UNWTO). Its ordinary sessions are held every two years and attended by delegates of UNWTO Full and Associate Members, as well as representatives from UNWTO Affiliate Members. 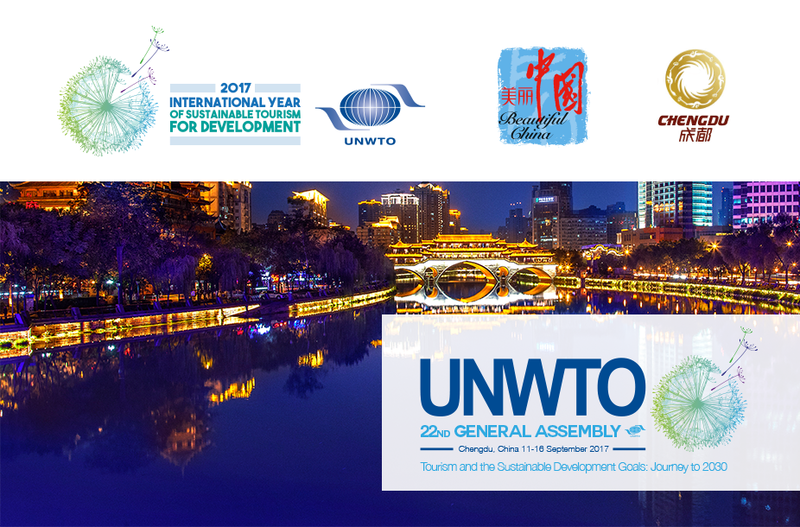 The 22nd edition of the UNWTO General Assembly will take place in Chengdu, China, on 11-16 September 2017. The decision was taken at the 21st edition of the UNWTO General Assembly in Medellin, Colombia. Why to follow the UNWTO General Assembly? The General Assembly will debate the latest trends of the tourism sector and strategic policy lines that governments can adapt to their respective contexts. It will also discuss the Work Programme and priorities of the Organization for the coming two years. The 22nd edition of the General Assembly will debate the achievements and progress made during the International Year of Sustainable Tourism for Development, which is being celebrated worldwide throughout 2017. The Agenda of the General Assembly in Chengdu also includes the appointment of the UNWTO Secretary-General for the period 2018-2022. The Assembly will provide an excellent opportunity to learn more about China – the leading tourism source market in the world – and about topics such as smart tourism. How to participate as a media professional? If you are interested in covering the General Assembly as a journalist, kindly note that an intense and complete agenda has been prepared for you! If you join us, you will have the opportunity to cover not only the key events at the General Assembly, but also tourism stories focused on sustainable practices, cultural heritage and other current topics related to tourism development in China. If you are a journalist based outside China, kindly write to comm@unwto.org for more information.